It is a breathtaking place to commune with nature and leisurely spend time swimming in its’ pool basins or having a picnic on its tables. I’ve been lucky enough to live in Iligan City where urban and nature gracefully dance in sync together. That I get to run off somewhere a few minutes off and finding myself in this pocket of wonder nature has given to us. 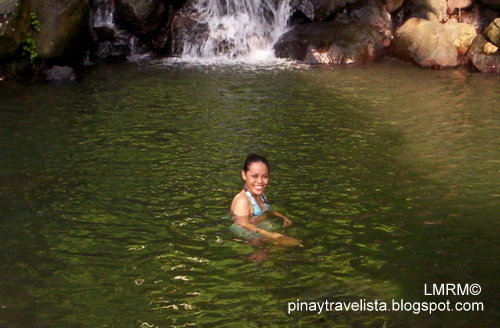 One of the 23 waterfalls of Iligan City is this pocket of wonder — the Mimbalot Falls. It is located at Brgy. Buruun, which is approximately 11km drive from the city center (Map: Here). 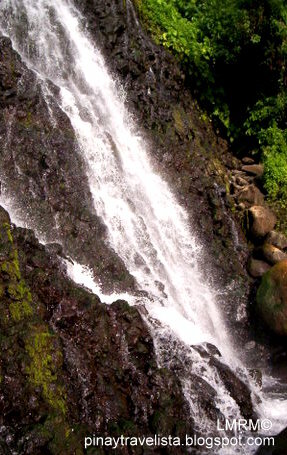 This falls has established itself as a lunch to mid-afternoon nature trip location for families and friends. 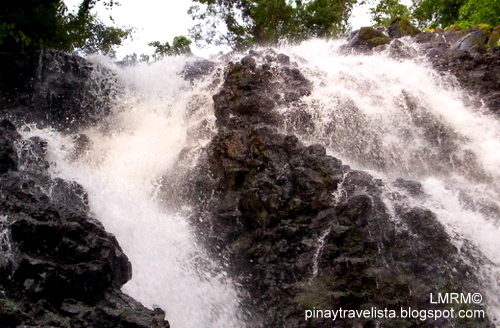 The Mimbalot Falls is a cascading waterfall with jutting rock edges reminding you of how raw nature is. 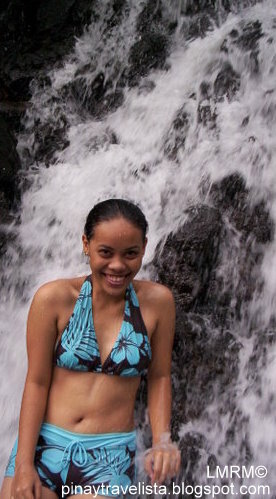 With its’ 90 ft. water drop and 18 ft. wide facade, Mimbalot Falls will not dauntingly scare you. It gives off this visitor-friendly feeling that you find yourself enjoying the the falls up close. Take a hydro-massage while you’re at it. The pressure from the rushing water feels good on the back. It can steal time away from you. Take time to enjoy it. You can swim on it’s pool basins. Don’t leave kids unattended because there are deep water spots on some of these pool basins. The shallow pool areas have large slippery rocks, it is best to get steady foot hold. +Bring your cameras. What good is a short nature trip if you can’t capture the fun you had at it. +Bring your own provisions. There are no stores around the area. +Be careful of loose rocks. Always find a good and steady foothold. +Be careful of slippery areas. The wooded bridge and the concrete fixed picnic tables have slippery surfaces. don’t leave children unsupervised. — Tell the driver to drop you off the Iligan City National School of Fisheries..
— Take the off road trail beside the IC Nat’l School of Fisheries around 5-7 minute walk to the Mimbalot Falls.